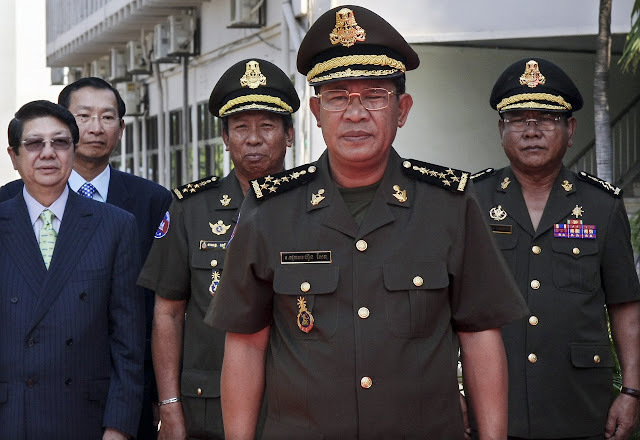 KI Media - Khmer Intelligence: From reader: បងប្អូនចង់ដឹងក្រុមបាតដៃទី៣ជាមនុស្សរបស់អ្នកណា ? Disgusting picture from the traitors on above picture I'd rather die than be one on the picture above or any Cambodia s traitor. You and me both, William! Thanks. Ah hun manet look more youn. What is so disgusting about this picture? Can't a man enjoy a drink? Or about the soldiers with guns?